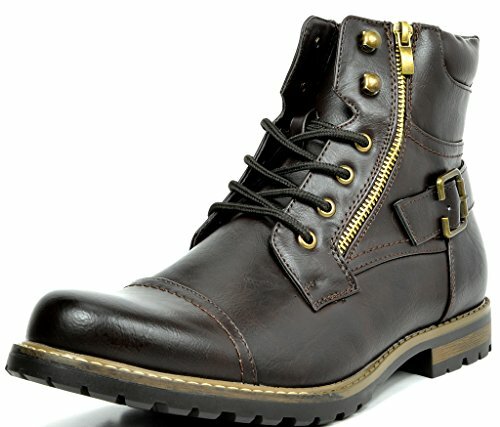 Military boots are versatile, and this one is a great choice. 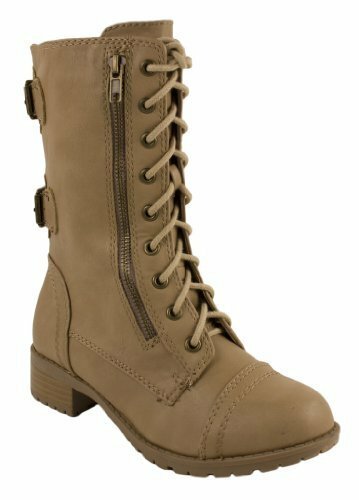 Wear with pants, or even with skirts or dresses- you will be sure to have a lot of options to complete your wardrobe with these boots. Two back straps, and subtle stitching throughout the boot, catch attention. Side zipper for easy on and off. 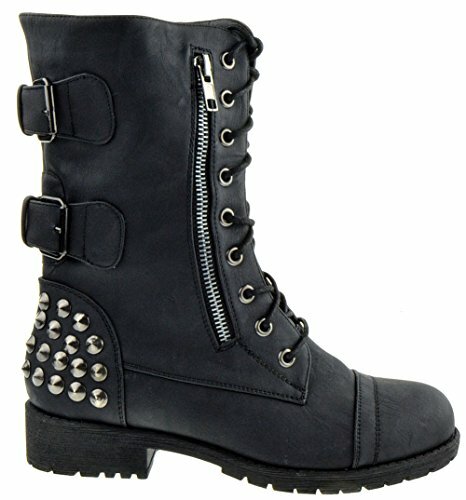 The classic outlaw shines in the details of spikes, buckles and exposed zippers of these military boots. 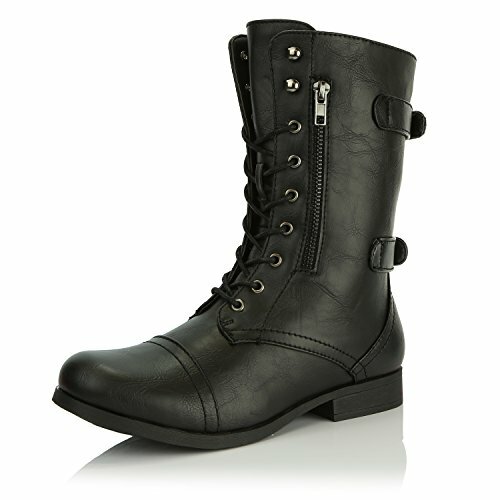 Mid-calf boots lace at the vamp and have a stitched cap toe; Smooth leatherette provides a vintage look. Give any of your outfits a classic look with these Boots! 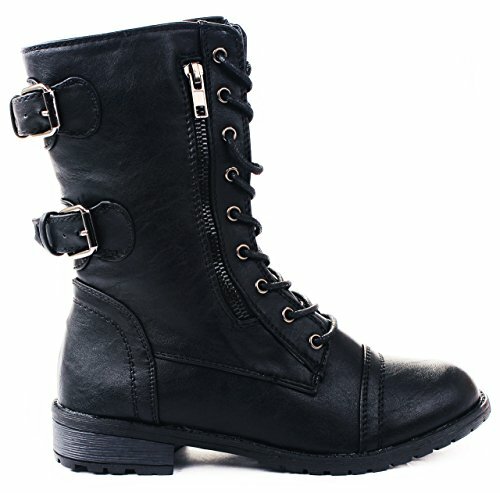 Featuring Faux Leather upper, lace up design, classic round toe design,decorative buckle on side for added style, and side zipper closure for easy on and off. Finished with cushioned footbed for comfort, and non-skid outsole. 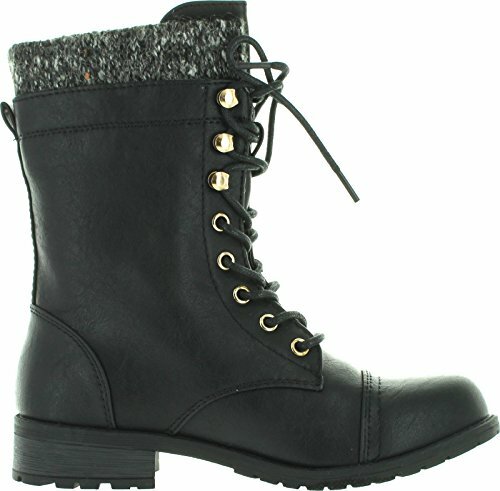 Pull off an edgy and comfortable look with these motorcycle winter boots! 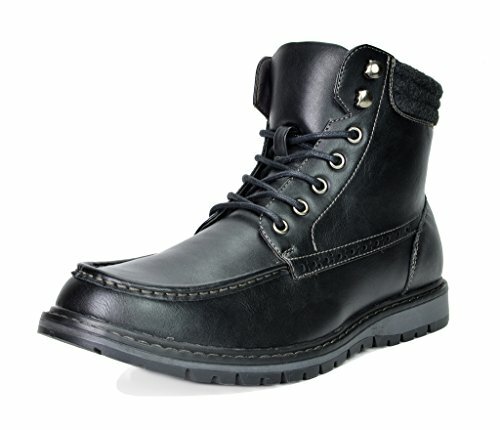 Featuring Faux Leather upper, lace up design, classic round cap toe design, and side zipper closure for easy on and off. Finished with smooth faux fur Lining, cushioned footbed for comfort, and non-skid outsole.